Why Do the Lions and the Cowboys Always Play on Thanksgiving? Stomachs full of turkey, tryptophan coursing through veins, millions of Americans belly up to the TV to watch the Detroit Lions and Dallas Cowboys play football on Thanksgiving. It's a Thanksgiving tradition almost as entrenched as no one touching the green beans. But why do the Lions and Cowboys play on Thanksgiving every year instead of spreading the love around and giving other NFL teams a chance to host a turkey day game? For the Lions, the tradition goes back to 1934. When Detroit-based radio station owner George Richards bought the Portsmouth Spartans that year, the newly minted Lions struggled to compete with the popularity of the Detroit Tigers, the city's then-successful baseball franchise. The Lions couldn't even manage to get 15,000 butts in the seats for some games. In a stroke of marketing genius, Richards decided to host a game on Thanksgiving. In part because of his power as an owner of a large radio station, he convinced NBC to carry the game on 94 radio stations across the country. That was a huge number of stations to land for a single game. It was, in fact, the first nationally-broadcast NFL game, according to the Pro Football Hall of Fame. The Lions faced the defending-champion Chicago Bears in the first NFL game on Thanksgiving. The game had weight. The Bears entered the contest undefeated, and the Lions had only lost once. The winner would emerge atop the NFL's Western Division. When the day arrived, the Lions had to turn fans away at the door after it sold out the 26,000-seat stadium. The holiday game became tradition, and the Lions have hosted a Thanksgiving showdown annually ever since. The Dallas tradition came later. There was no guarantee a holiday game would work in a different market under different circumstances, but Dallas general manager Tex Schramm wanted to give it a shot. He was an innovator of a handful of successful marketing techniques for the NFL franchise, including the introduction of the Dallas Cowboys Cheerleaders. In 1966, the team wasn't all that good, but Schramm saw an opportunity to gain national attention with a Thanksgiving contest. The NFL wasn't entirely sure his plan would work, but the league supported the experiment. It gave the team a revenue guarantee in case no one showed up. It wound up not being an issue. The game was played in front of a record-setting 80,259 fans. The success of that game set up a second NFL Thanksgiving tradition: The Dallas Cowboys playing on the holiday every year. Additionally, every year since Reba Mcentire in 1997, the game has included a halftime concert. Only twice since '66 have the Cowboys not been in action on Thanksgiving. The addition of a third Thanksgiving game wasn't much of an experiment. The games have long been a massive success for the NFL. Even beyond halftime concerts, the games have spawned all kinds of strange traditions, like John Madden's creepy six-legged turkey. So, in 2006, the League began wondering how Americans could possibly survive with only six hours of Thanksgiving football. To save people from the drudgery of talking to family, it added a third T-Day game, played at night after the Lions and Cowboys games conclude. No single team has a stranglehold on that slot, however. Two different teams are featured each year, allowing fans everywhere the opportunity to experience holiday disappointment in their hometown team. In 2018, there will be three NFL games. At 12:30pm ET, the Lions will face the Chicago Bears. 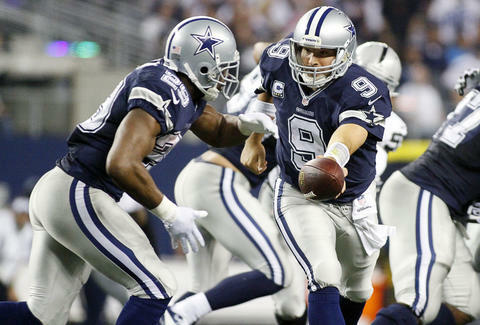 Then at 4:30pm, the Cowboys will take on the division-leading Washington Redskins. The third game of the day will land at 8:20pm, featuring the Atlanta Falcons versus the unstoppable New Orleans Saints. If your weird uncle is hoarding the TV with a slideshow of his vacation to Tulsa, here is our guide to how to stream NFL games online. Looking for Black Friday deals? Check out the best sales at Walmart, Target, and GameStop as well as these cheap flight and TV deals. Hungry from all the shopping? Don’t miss all the great free food and pizza deals running all day.